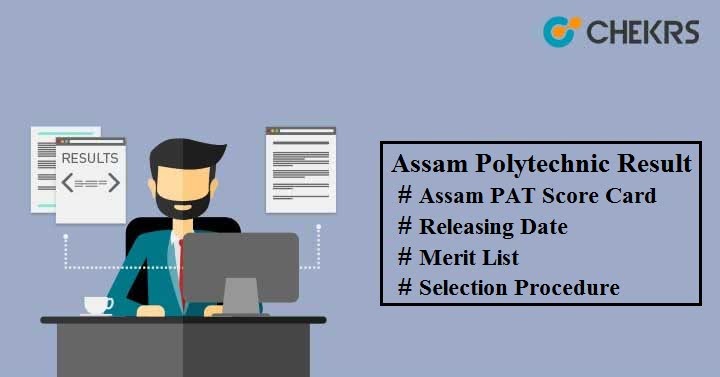 Assam Polytechnic (PAT) 2019 Result: Applicants who have appeared in the Assam PAT can check their rank and score here as the result will be announced shortly through online mode. Have a look at the Result Date of Assam Polytechnic PAT and get an idea of other important events also. Click on the ‘PAT-2019 Results’ tab. Enter your Roll no and then click on ‘Submit’ button. You will see your Assam PAT 2019 Result on screen. Check the details and save it for future use. Cut-off is a minimum score obtained by the candidates to pass the Polytechnic Admission Test (PAT) exam. Assam PAT Cutoff will be prepared by the DTE Board, Assam and will be made available on official website. It will be mandatory to score the cutoff marks in order to get shortlisted for the next round i.e. Interview. After conducting the interview round, Merit List will be prepared by the official authority and it contains the name of those candidates who qualified the Assam PAT exam and interview both. Candidates who have qualified PAT exam will have to report to the counselling venue as per the schedule and time available on the official website. It will be organized in June month in Offline mode. To be able to take part in the Assam Polytechnic Counselling must fill the Part-B Application Form. Applicants will be invited for seat allotment process on the basis of category and merit rank. some necessary documents will be required for verification at the time of counselling. Final Seat Allotment list will be determined on the basis of merit rank, category, college preferences & seat availability.